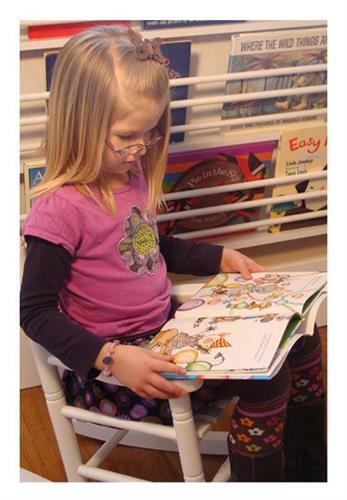 Melinda has been educating young children since 1995. After graduating with a degree in Education from the University of Nebraska and finishing her student teaching in Blair, Melinda has taught in Illinois and Nebraska in a variety of environments. 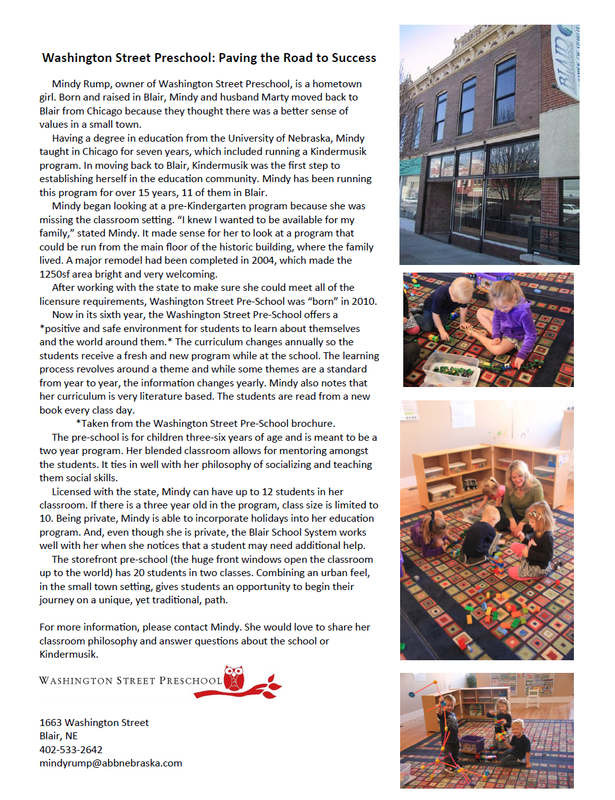 In 2004, Melinda opened her Kindermusik program in Blair, and opened Washington Street Preschool in 2010. 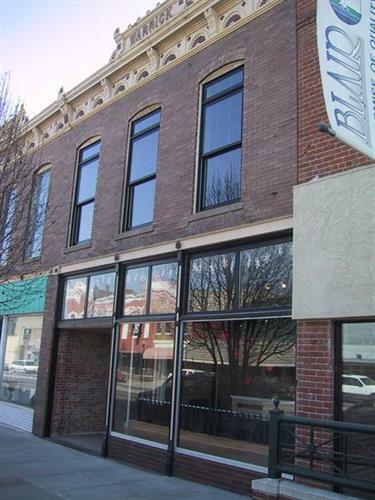 The 1250 square foot Preschool Studio is located in a historic downtown building located on Washington Street in Blair. Completely remodeled in 2004, the studio is a bright, safe, cozy environment that also operates as a music studio. Near-by parking offers convenient drop-off and pick-up.